Now what is this “risk” we are talking about? In simple terms, it is volatility of investment performance, as well as chances of eroding investment capital. 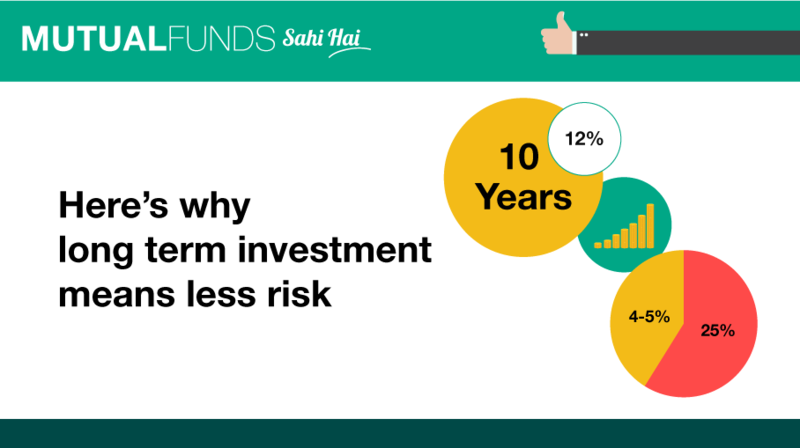 By staying invested over the long term, some years of low/negative returns and some years of impressive returns will make the average returns quite reasonable. 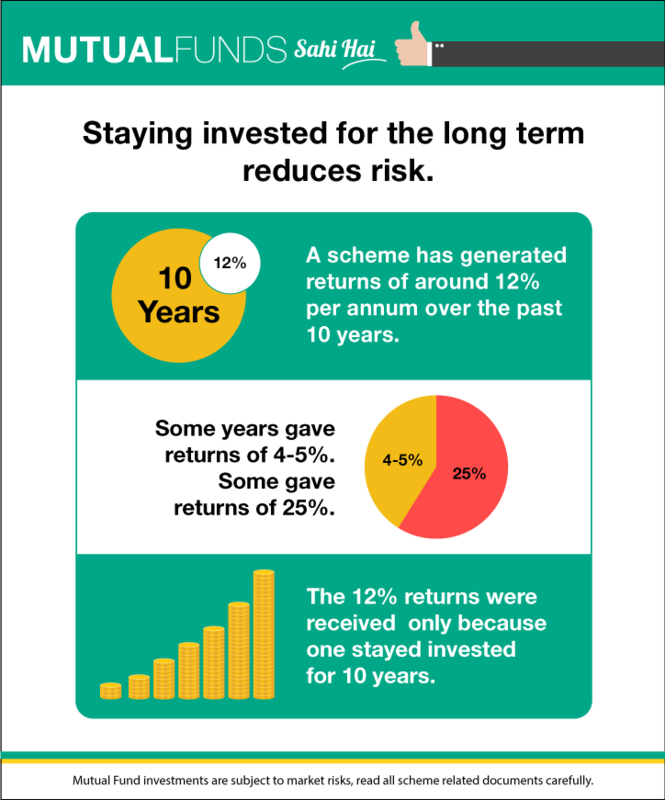 Therefore, the investor can ‘average out every year’s widely fluctuating returns’ to get a more stable long term return. The recommended time horizon, differs for every asset class as well as Mutual Fund category. Please consult an investment advisor and read scheme related documents before making an investment decision.